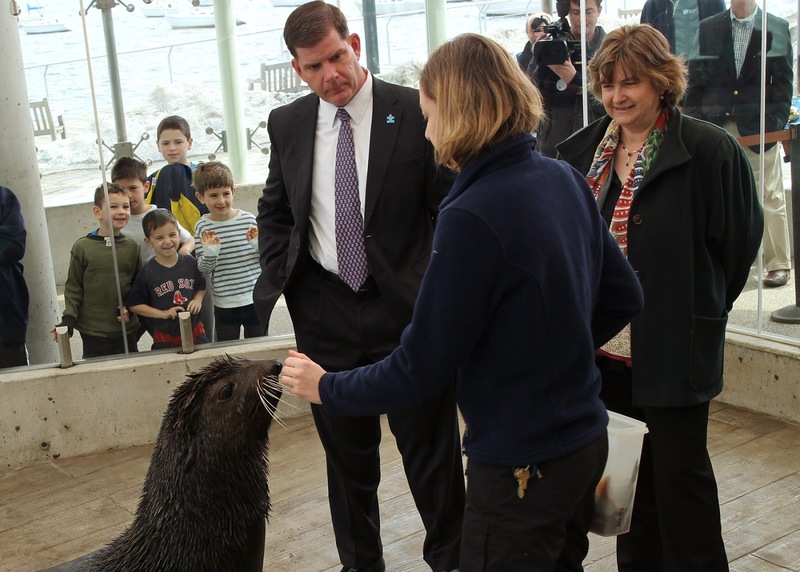 The Aquarium's newest arrival—a Northern fur seal named Commander—met with Boston's commander in chief Mayor Marty Walsh during a light-hearted event at the Aquarium today. 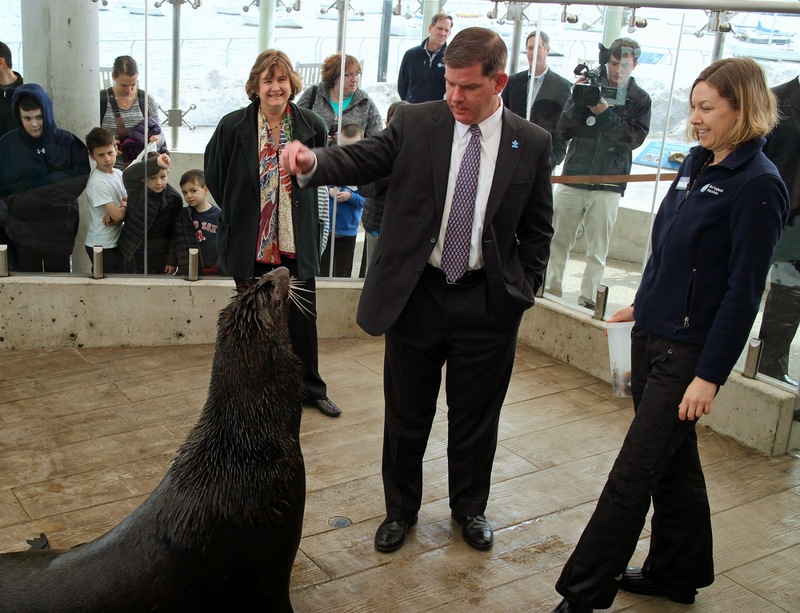 Captive audience: Are the young visitors more excited to see Mayor Walsh or Commander the fur seal? 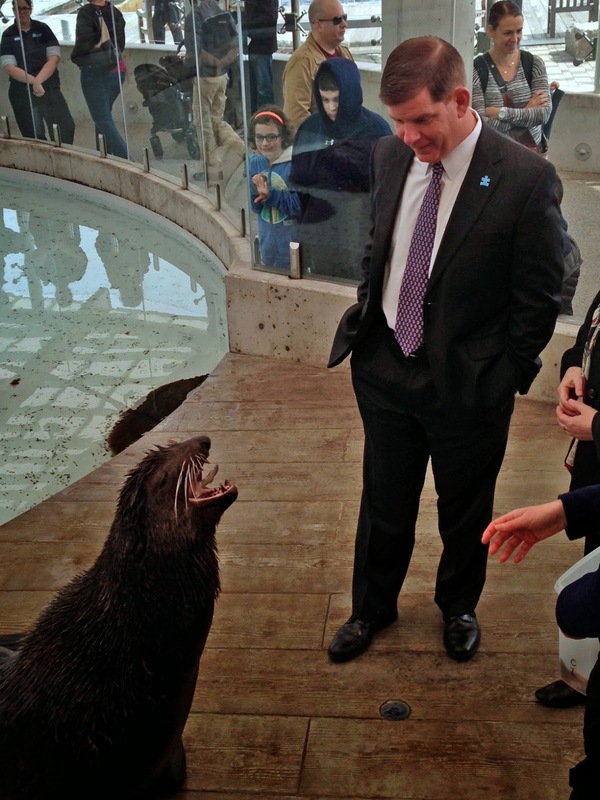 Today marine mammal trainer Kim Cummings and Aquarium CEO Nigella Hillgarth welcomed Mayor Walsh into the exhibit to learn about fur seals, feel Commander's thick fur coat and even feed the large male fur seal some of his lunchtime meal. Commander made the cross country trip earlier this winter via a donated flight from FedEx. 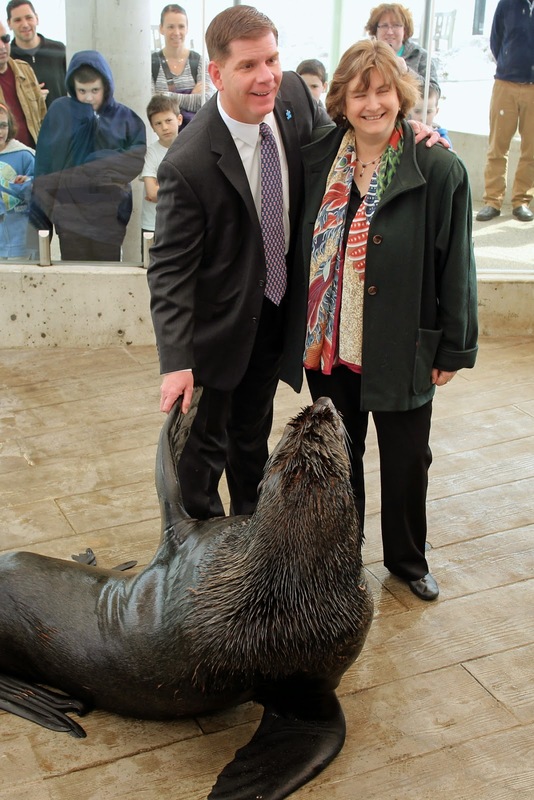 He was brought to Boston as part of a cooperative breeding program that is dedicated to increasing the number of Northern fur seals in American zoos and aquariums. Currently, there are only nine of the unusual-looking seals in the U.S. with five of them at the New England Aquarium, which has had two pups born in the last three years. Commander arrived from the Seattle Aquarium via FedEx back in February. He spend time behind the scenes for routine quarantine, and recently joined the sea lions on exhibit full time—just in time for the region's April school vacations. Commander currently tips the scales at nearly 400 pounds but will be a solid 500 pounds by this summer. He's so big that it's hard to miss him. But he often lounges toward the back of exhibit, where you'll find him resting (something these big male fur seals do a lot of) or grooming. 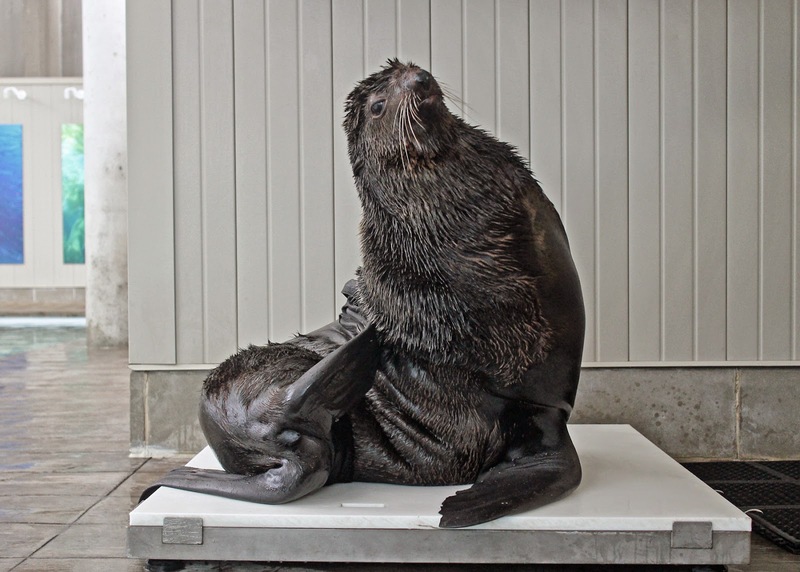 Northern fur seals are a vulnerable species that are found across the north Pacific but primarily off of Alaska. They are in the same family as California sea lions but also feature the second thickest fur in the world. 2015 Marathon: Find these shirts! Whale it up this weekend!